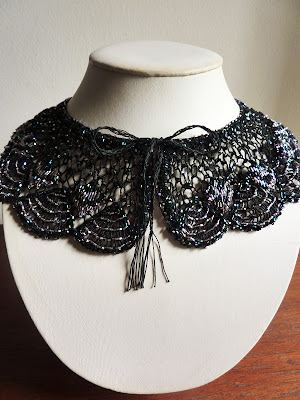 For the past 2 months I have been trying to complete two commissions for a customer friend who wanted beaded lace collars, something that looks like french lace but fully beaded and worn as a detachable collar. I sourced this beautiful handmade black lace from Poland and then proceeded to embellish all areas with hex-cut japanese glass beads in black and purple. 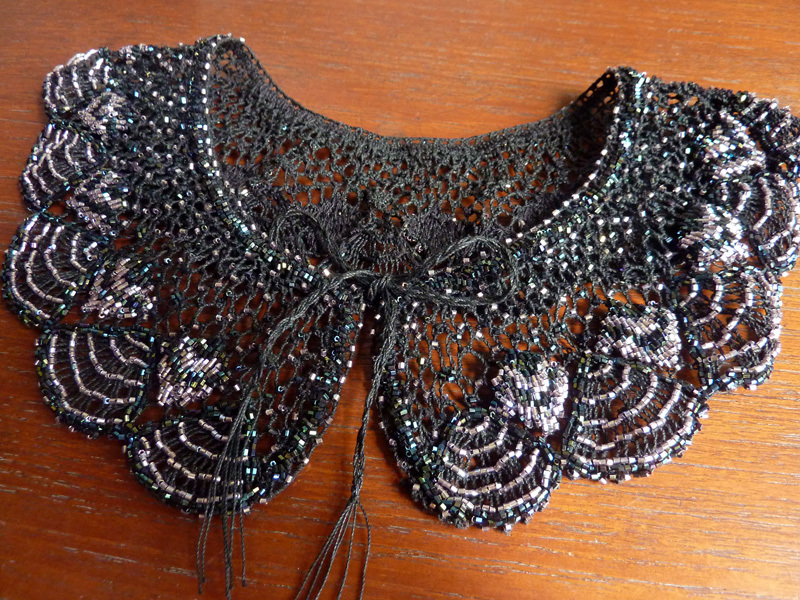 The beads have an iridescent coat for shimmer. 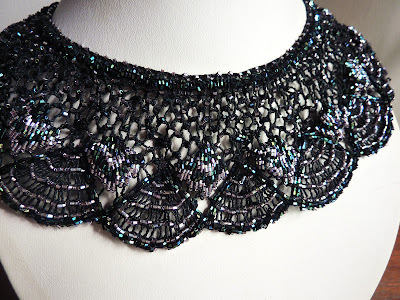 Decided on the tinier-sized seed beads, although it takes more time to stitch but the results will be more refined for a delicate thing like this. This took about 200 hours. 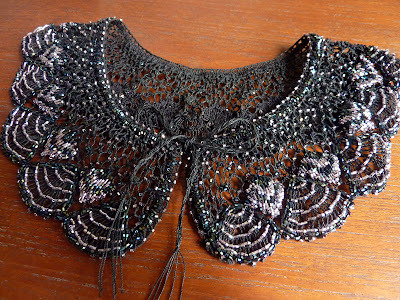 However this is less work compared to a white victorian lace I am currently working on which I will post once it's done!